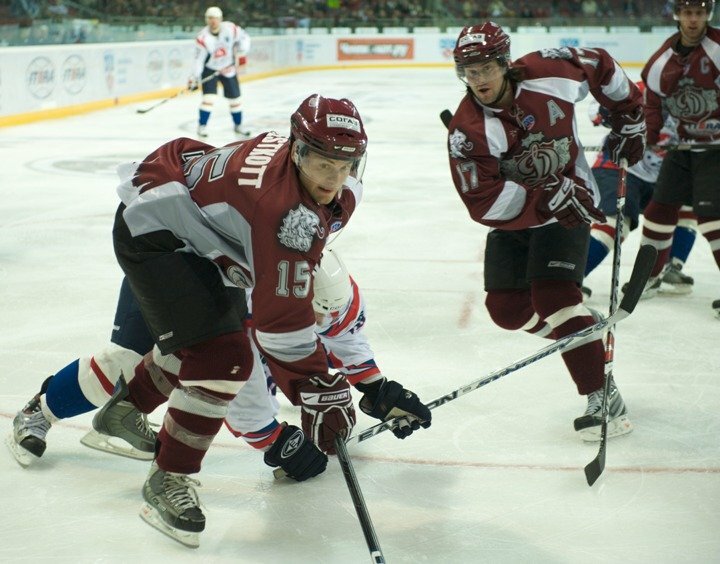 Latvian ice hockey club Riga "Dinamo" defeated Russia's St. Petersburg SKA 4-2 (2-0, 1-1, 1-1) in their fourth game of the Kontinental Hockey League (KHL) preliminary playoff round in Riga today, winning the series 3-1 and advancing to the Gagarin Cup quarterfinals. The goals for the "Dinamo" were scored by Janis Sprukts, Aleksandrs Nizivijs, Martin Kariya and Martins Karsums, whereas the scorers for SKA were Alexey Yashin and Yuri Trubachev. Martin Prusek was in the goal for the "Dinamo" today; Edgars Masalskis will not be able to play for at least three weeks due to an ankle injury.As reported, "Dinamo" won the series’ first two games against SKA in St. Petersburg, but then lost the third game in Riga. In the next round of the Gagarin Cup playoffs, "Dinamo" will play Balashikha MVD, coached by the Latvian national hockey team's coaches Olegs Znaroks and Harijs VItolins, which beat Moscow CSKA 3-0 in the preliminary round of the KHL playoffs. The first two games in the best-of-seven series will take place in Balashikha on March 19 and 20.As already reported, SKA finished first in the Western Conference of the KHL regular season with 122 points, whereas "Dinamo" placed eighth with 84 points.